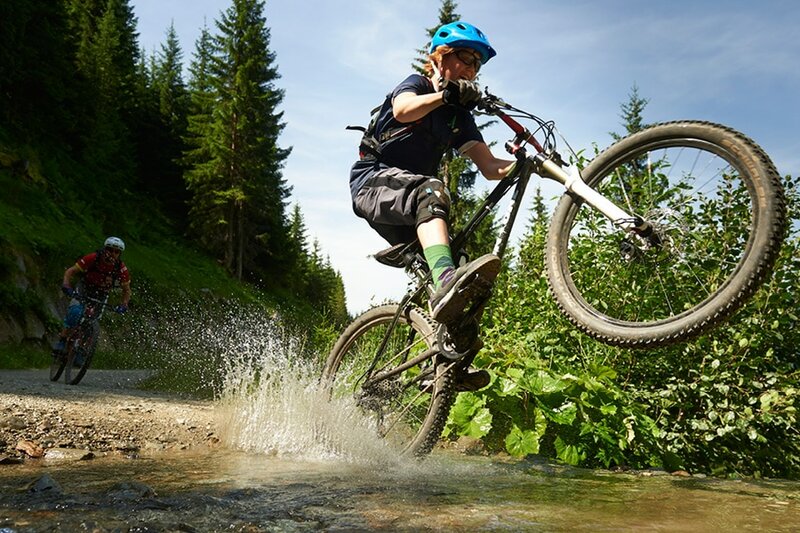 Miles of both rugged and paved trails near our doorstep, on-site bike repair and washing stations and “Cooler by the Lake” temperatures make Caribou Highlands the best basecamp for North Shore biking. The variety of area trails means that there’s something for bikers of all skill levels. See our map of nearby trail heads and parking areas below or check out the complete list of area bike trails at Visit Cook County’s website. The closest trail is at the bottom of Ski Hill Road and is the newly paved Gitchi Gami Trail. A quick trip up the road provides hard-pack mountain bike trails. So have a hearty breakfast at Moguls, fill your water bottles and enjoy some fabulous biking. *Shuttles can be scheduled at the front desk and may require an additional fee.